The Group holds a strategic stake in The Diabetic Boot Company Limited (“Diabetic Boot”). Diabetic Boot is a private single product medical device company based near Oxford, in the UK. It is focused on the treatment of diabetic foot ulcers (“DFUs”), which are a comorbidity of diabetes mellitus. The treatment of DFUs represents a significant commercial opportunity with the current standard of care and alternative therapies lacking efficacy. Diabetic Boot’s lead product is PulseFootDF™ which combines intermittent plantar compression with the current standard of care for the treatment of DFUs called offloading. Intermittent plantar compression as a mechanism of action has been shown in independent clinical studies to produce statistically significant improvements over placebo in wound closure. 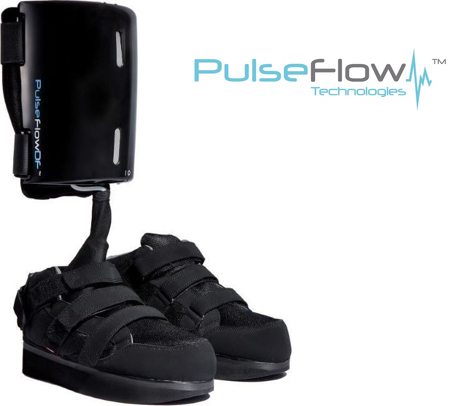 Pulseboot is approved for sale in Europe having been granted a CE mark in December 2013 as a Class IIa medical device. Commercial manufacturing has commenced in UK with first sales taking place in August 2016 to the Veterans Administration Hospitals in the US. Diabetic Boot has received Durable Medical Equipment, Prosthetics, Orthotics and Supplies accreditation in all 50 states and the District of Columbia. Commercialisation in the US will be done through a wholly-owned subsidiary with its own sales force, and through distributors in other jurisdictions, with the initial target being the Veterans Administration Hospitals. Diabetic Boot has distribution agreements in place in a number of geographies including Australia, Canada, New Zealand, Germany, Austria, Switzerland and Saudi Arabia. Diabetic Boot hopes to expand this list and the Group believes it is well placed to assist in particular in its local Asia Pacific region. In 2014, the prevalence of diabetes in the UK was 5.38 per cent of the total population. It is estimated that approximately 2.5% of diabetics have DFUs at any given time. These prevalence rates led the NHS in England to spend approximately GBP 1 in every GBP 150 on the treatment of DFUs and associated lower limb amputation. Similar rates of diabetes and ulceration are observed in other markets. Diabetes is a fast growing and often devastating disease with the global prevalence estimated to be 9% among adults aged of 18+ years, and in China alone, an estimated 130 million suffer from the condition with a further 490 million at the pre-diabetes stage. Foot ulcers are a very serious complication of diabetes and one diabetic related amputation takes place in the world every 20 seconds. More information is available at DiabeticBoot’s website at www.pulse-flow.co.uk. Copyright © 2018 Regent Pacific Group Limited. All Rights Reserved.